After a few years I finished my lathe. I am looking on what I can do to with CamBam and what settings I can do. 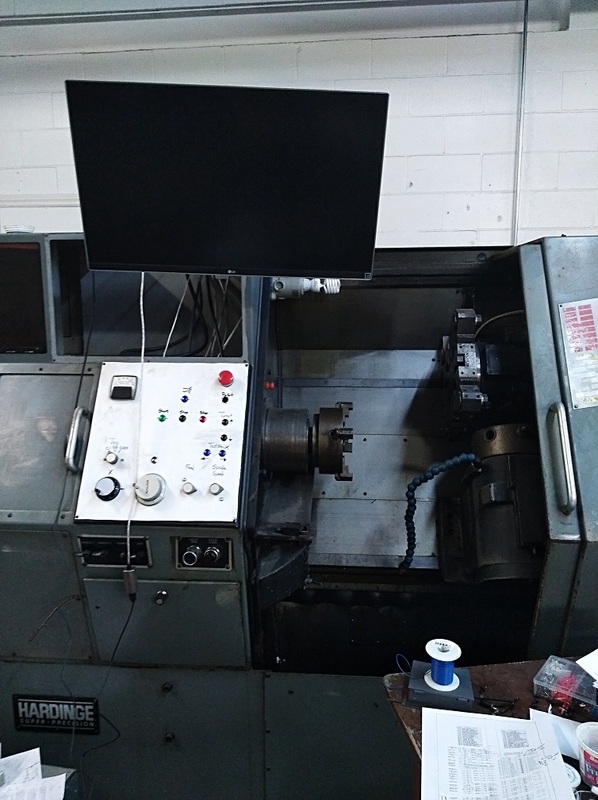 It is a Hardinge Superslant with a 8 tool turret and 8 tool tailstock. It is running LinuxCNC. 1. Thread cutting. Does CamBam know how to make these inner and outer cycles? 2. Drilling. Does CamBam know how to use a drill command in the Z axis on the lathe? The turret and tail stock hold drills. 4. Parting/slotting. How can I part my part? I do not see that tool option in the tool selection. 5. Tool profile compensation when profiling. It seems that the tool angle is not taken into consideration and would cut on the back face. I see the tip radius is considered, but that is it. 6. Programmed location for tool changes. On my machine I need to go away from the part to change the tools. My guess is there is somewhere in the post processor to do this. I have been using CamBam for a while on my mill and was hoping to get it going on my lathe too but I worry CamBam doesn't have these operations yet. Short answer to all points except #6 is no. You could program a G28 or G53 in the PP, but generaly you would put this in the tool change marco of linuxcnc. Your best bet is Fusion360 with the Linuxcnc PP or Ezilathe very good with threading and has a rudimentary sim so you see if the tool is going to gouge the workpiece. It's quite easy to mix generated code with hand code as well.